Today's project is a card I made for my cousin and his lovely wife. 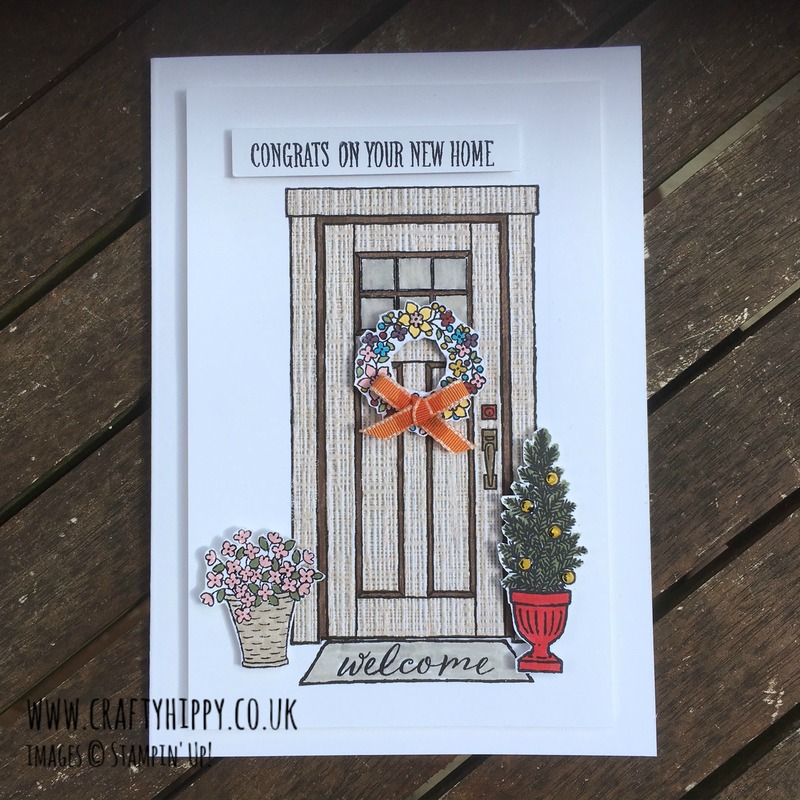 They have just moved into their first home and so I thought I should take some time to make them a very special card. I have used a stamp set that is NEW to the coming Annual Catalogue (1st June 2017) so today's project is a bit of a sneek peak! Now I have to admit to using some very old Stampin' Up! ribbon, as well as some Crystal Effects, neither of these being available any longer. Sometimes when I make very special items I will use old stuff from my stash. This project was just too cute not to share it. Edit: a fellow demonstrator has pointed out that you can use the Fine Tip Glue Pen in place of our old Crsytal Effects. The stamp set I've used is At Home with You which will be available to customers come June 1st 2017. Isn't it gorgeous? You can also get your hands on this stamp set a bit early if you join Stampin' Up! as a Demonstrator. Please contact me for more information. 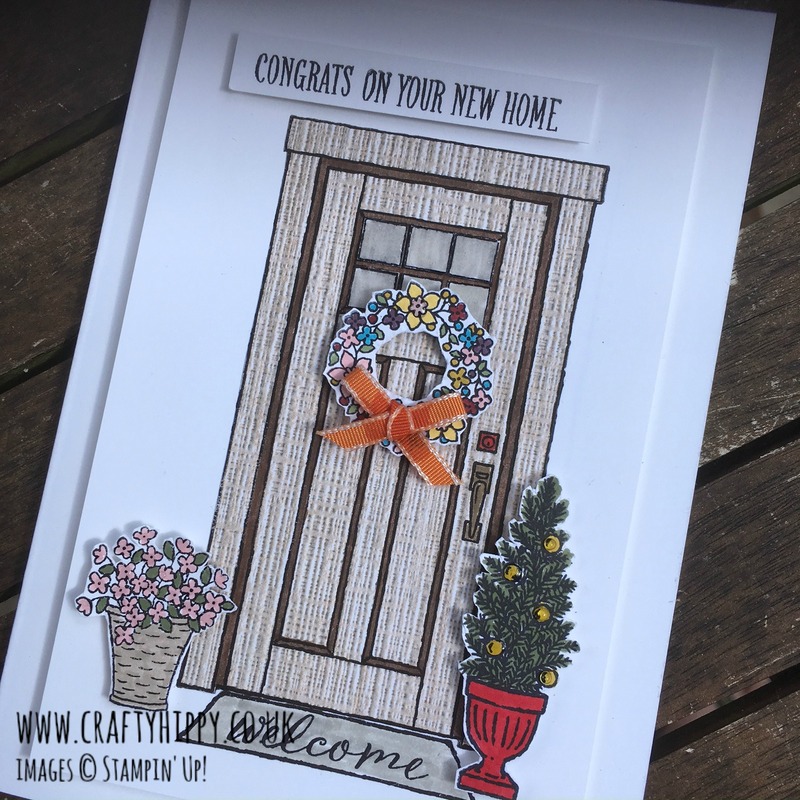 I used our fabulous Many Marvellous Markers to colour in the details, and I stamped using our Basic Black Stampin' Pad. You might recognise the paper on the door - I stamped onto some Serene Scenery DSP (retiring soon) and fussy cut it out before layering it onto Whisper White Cardstock.